Welcome! Happy New Year! We are finally open and it’s super exciting. Sessions are being scheduled, work is being adjusted, game plans are being improved upon, studying has started for the Fitness Nutrition certification. But today we are going to take a step back and talk about setbacks, pauses, and this time of year. As everyone knows- this time of year in the state of Virginia is where you can experience all four seasons in two days, fluctuations from 60 to 30 degrees in a blink of an eye coupled with rain and snow and then the budding of spring leaves on the trees. It’s also when everyone and their uncle gets sick. Including me. I thought I was struggling with a virus, because I’d feel fine for days at a time and then go down like a ton of bricks. Turns out I have a severe sinus and chest infection and if it wasn’t treated it would turn into pneumonia. Yikes. So I had some setbacks this week in business, I had to cancel several sessions because I need to get better, quickly, and I’ve learned that overworking and already compromised immune system is how one gets deathly ill pretty quickly. However, I also work in the restaurant industry. A place where health insurance is hard to come by in shift work, so people are paying out of pocket for health care, and they have to choose between going in or getting written up for not making a shift. Let me make it really clear- not one bartender or server or host who is paid by shift work, not one of them wants to give up a money making shift to get better. Self care in an industry where you get paid only when you work and only get paid well if work is busy is extremely hard. But it has to be done, especially for those with two gigs. Rescheduling sessions was necessary for me to get better. Am I going to be a little more broke this week? Yes. That’s the nature of owning your own business and making those decisions. Am I actually going to get better? Yes. Thanks to a lot of antibiotics. Soup. Ginger lemon tea. And more sleep than I’ve had in 6 months. Am I a little behind schedule? Yes. But progress is not linear. Repeat after me: PROGRESS. IS. NOT. LINEAR. I’ll be back up to snuff next week, I’ll get back on schedule with my clients and I’ll get back on track with my workouts. 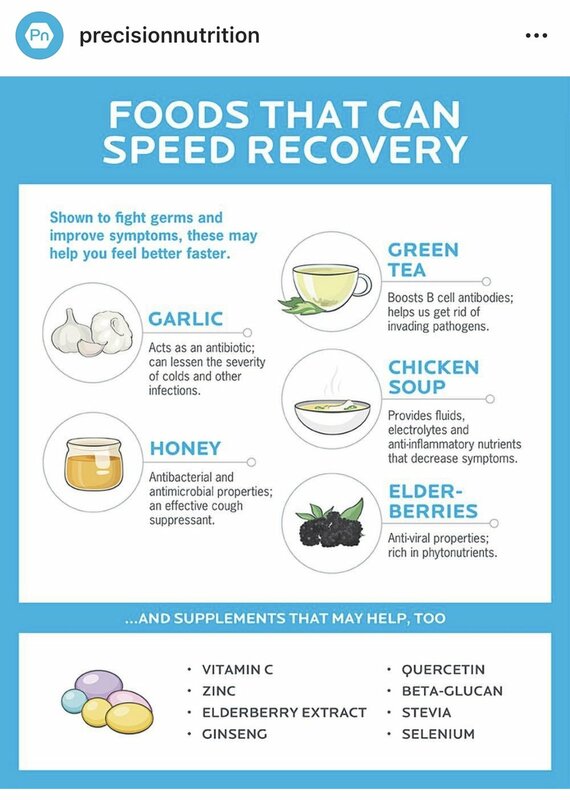 So I’ve got some tips for you from Precision Nutrition on how to heal up quicker when you are getting sick and how to actively fight getting sick ahead of time. Crossover Healthcare Ministry They don’t list their requirements but they are listed on charitable websites and free clinics. I hope this helps anyone in need. Here’s to setbacks and getting back on track.